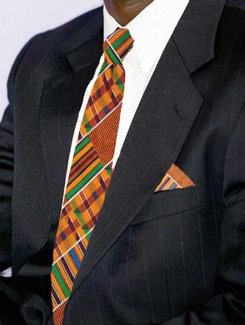 African Tie- Extra Long Kente Longtie with handky complete set. (Big and Tall) Elegant and formal look. (Available in all kente colors ). perfect for grooms, groomsmen and formal occasions or Gift item. Made by Wilsdom Designs.